The three-week-old daughter of Alice (26) and James H. (30) died this date of convulsions in 1851 and was buried at Bethel Burying Ground on the following 25th. Her name was not mentioned on the death certificate. Many of the infants and young children have “convulsions” for their cause of death. There are numerous reasons for convulsion one being an extremely high fever from a viral or bacterial infection. Given the poor living conditions and the high rate of Cholera from poisoned water, it is sometimes hard to understand how any children survived. Alice had another child, Sarah, die of convulsions a year later. She was seven-weeks-old and was also buried at Bethel Burying Ground. James was a waiter earning very little at $10 a month, half of what the average laboring Black man earned during this period. Alice was employed as a laundress. They paid $4,50 a month for the shed at the rear of 15 Little Pine Street. In addition to the unnamed infant and Sarah, they also had Catharine (3) and Mary E. (1). All the children were born in Philadelphia, James in Maryland and Alice in Delaware. The Hutchins family lived in a “rear-house.” These structures were in the back of tenements and individual homes. They were originally build to shelter a horse or other animals such as pigs and goats. Manure and garbage would also be stored in these “slaughter houses” of the poor. These low sheds were home to a least one family and maybe more. No heat, running water, sanitation or fresh air these dark hell holes became the perfect place for the breeding ground of numerous fatal diseases. 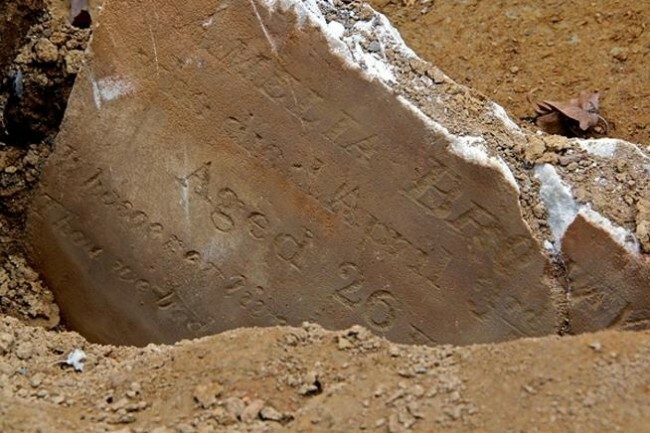 ← Born in Guinea, African in approximately 1744, Felicita Ardica died this date, October 5th, in 1814 and was buried at Bethel Burying ground.